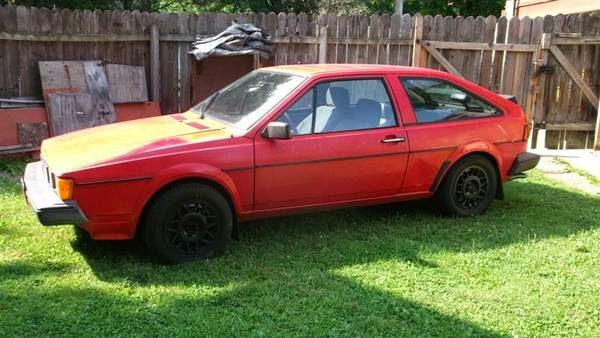 Buy Classic Volks – Volkswagen Scirocco for Sale in Rockford, Illinois. 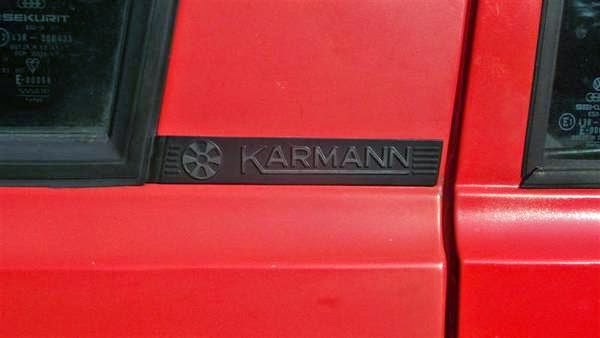 It’s a VW Scirocco Karmann Ghia GT built in 1983 comes in red exterior and black leather interior, ready to go. 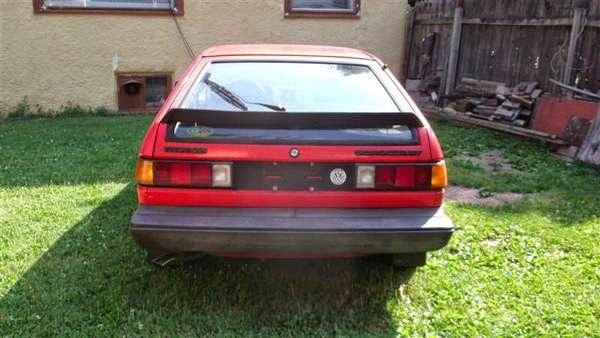 1983 VW Scirocco Karmann Ghia GT. Purchased new in 1983 and it has been in the family ever since. I have the original owners manual and warranty book. It has been stored inside for several years but I decided it was time to get it going again. I took it to Import Auto Werks and they installed new fuel injectors, new starter, new fuel filter, new clutch, new rear crank seal, new push rod seal and a new shifter link kit. They inspected the brakes and said they were all in very good condition due to being replaced before I stored the car. I have receipts for $1350.84 for their work. 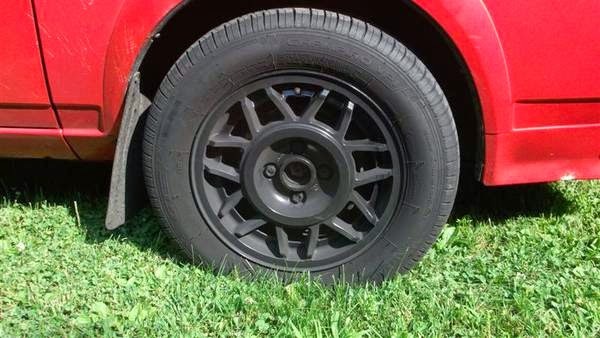 It has Rabbit GTI wheels and new 40,000 mile tires purchased from Discount Tire, I have their receipt for $334.88. 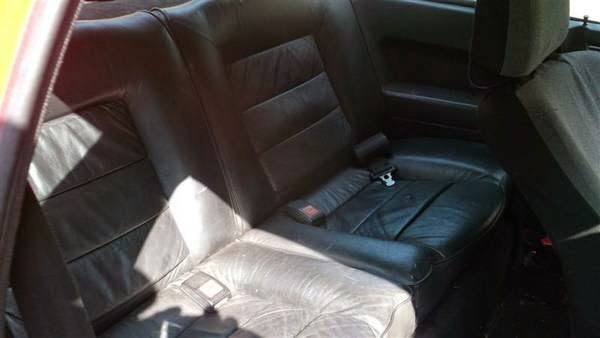 It has a leather interior but the seam needs repair on the drivers seat (shown in the picture), it is fitted with nylon seat covers on the front seats. 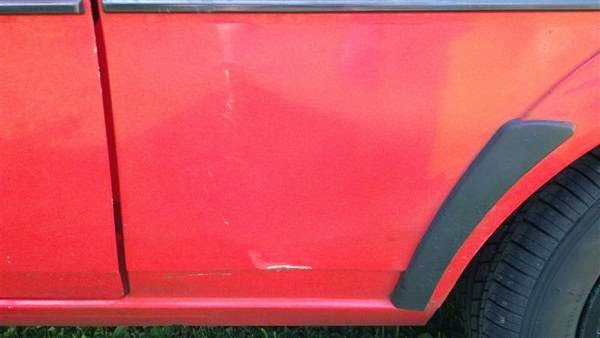 The body is rust free but does have a couple of minor dings (shown in pictures). The passenger door has been replaced due to a parking lot incident, I have the original door. 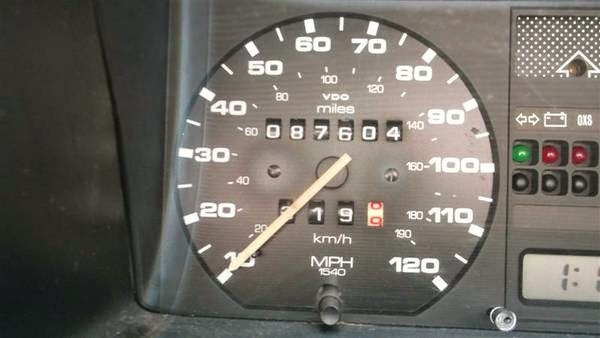 I have driven the car for 300+ miles and was reminded as to what a fun car this is, it currently shows 87,604 miles and this is the original mileage. 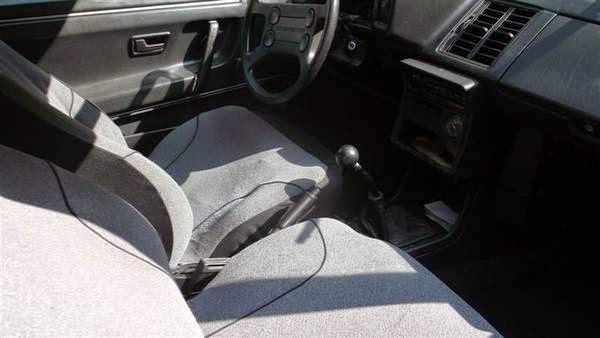 Unfortunately due to back and knee problems I have difficulty getting in and out of the car and using the clutch, so I have decided that rather than put it back in storage I would let someone else enjoy it. 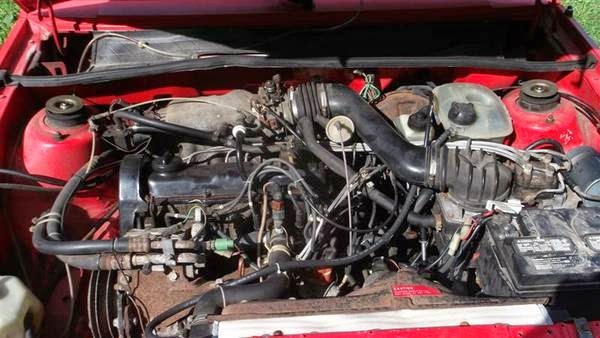 The problems with the car are that the air conditioning does not work, it will need a need condenser coil as the original leaked and was removed. The two way sunroof does not work, it needs new cables, the radio is missing and it needs a good wax job. 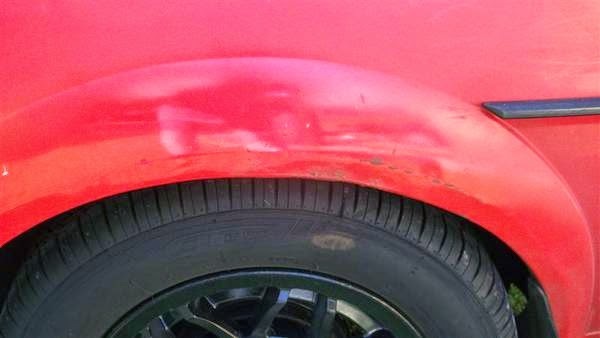 I am asking $4000 due to the cars condition, rarity and collectability. If you know VW’s you know about these cars. No time wasters or tire kickers please. This is cash only and local pickup. 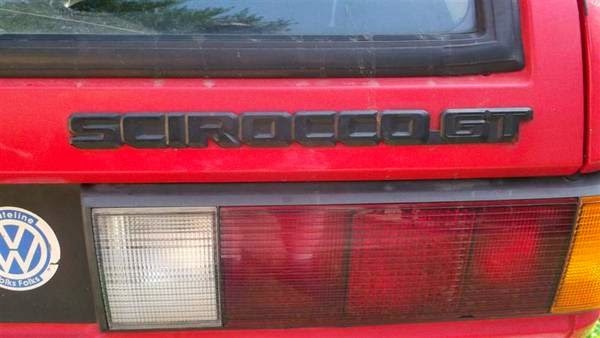 This entry was posted in 1983, Closed, Scirocco, USA, Volkswagen and tagged Volkswagen Scirocco on August 22, 2014 by buyclass.